Will Wieden + Kennedy finally grow its Australian presence? Marie Claire has enlisted the support of Aussie celebrities to push Airbnb's fight for marriage equality. Airbnb has launched a 3D cinema activation that gives cinema goers the opportunity to reimagine travel. 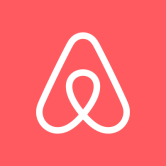 Airbnb taps baby boomers market in new partnership with online site, Over60.